Question: Do Square Videos Work on Pinterest? To answer the question: Do Square Videos Work on Pinterest? The answer, right now, is that Pinterest does not support a square video. Alas. I certainly hope that they support all sizes and shapes of videos very soon. By the way, YouTube does accept the square video format but YT makes it fit within their standard shape, so the video ends up having two strips of black on either side of the video. 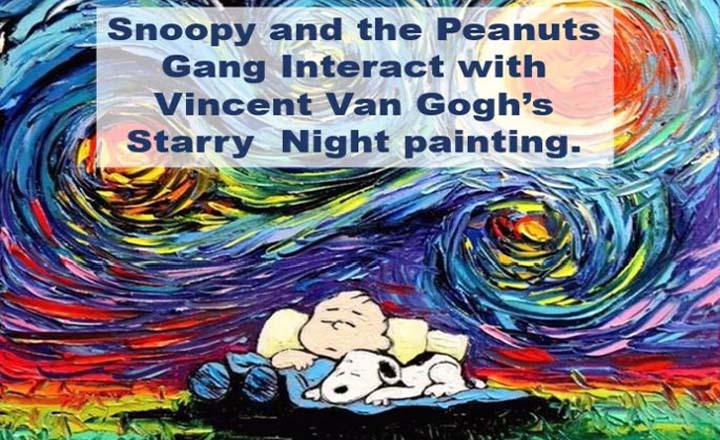 Check out a video of Snoopy and the Peanuts Gang enjoying a starry night via Vincent Van Gogh. Question: Do Tall and Thin Videos Work on Pinterest?